Super easy to make and a crowd pleaser. 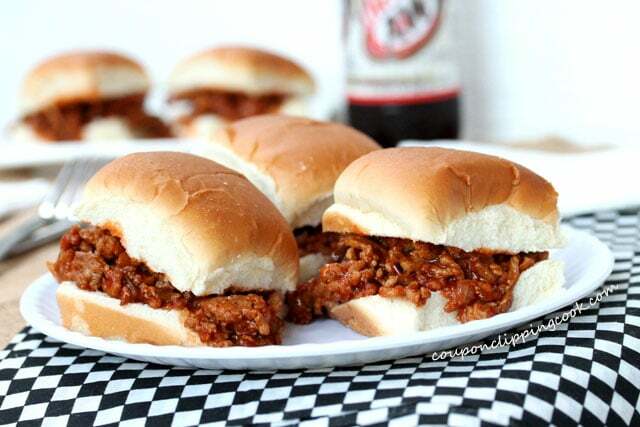 Sloppy Joes and comfort food go hand in hand. 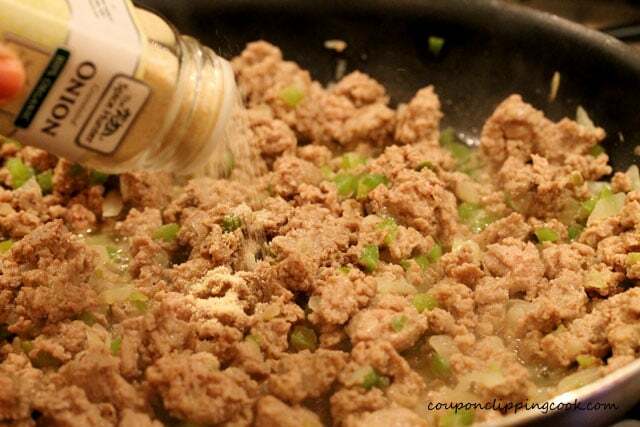 This sloppy Joe recipe is made in a large skillet and instead of ground beef, it’s made with ground turkey. 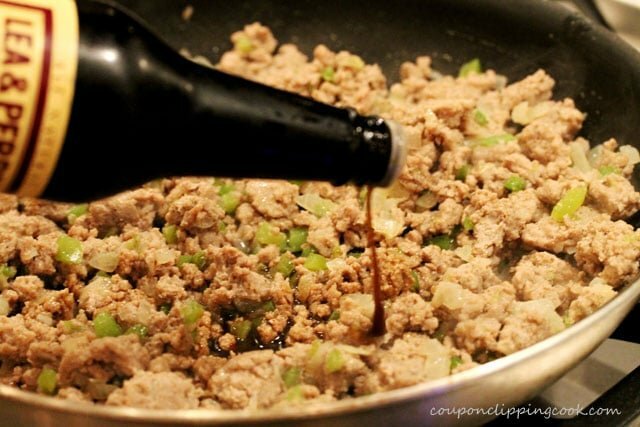 The ground turkey absorbs the sloppy Joe sauce nicely and makes the meal a bit lighter overall than it is when made with ground beef. 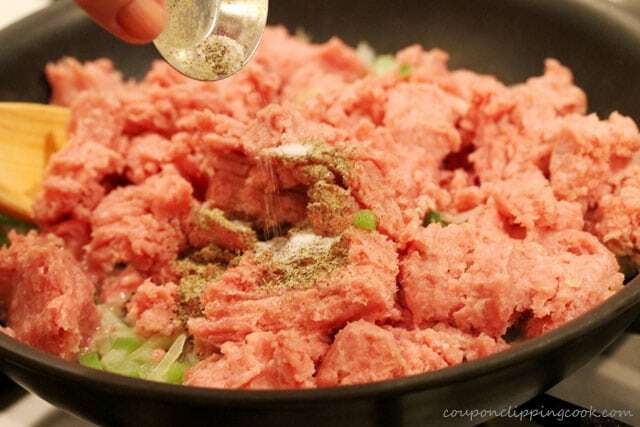 Feel free to use ground beef in this recipe along with, or instead of the ground turkey. Either way, it’s delicious. 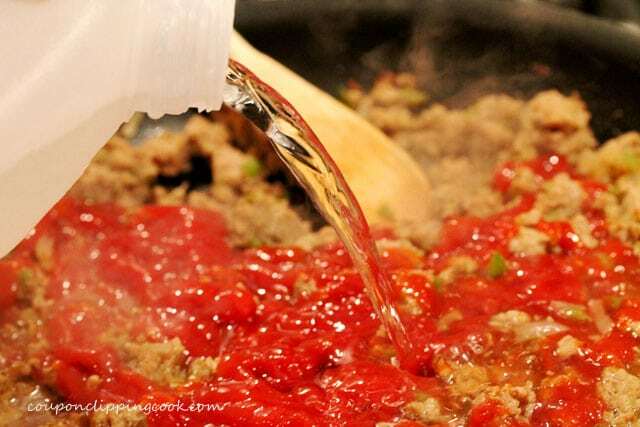 The sauce for these sloppy Joes is made with onion, bell pepper and a lot of ketchup. 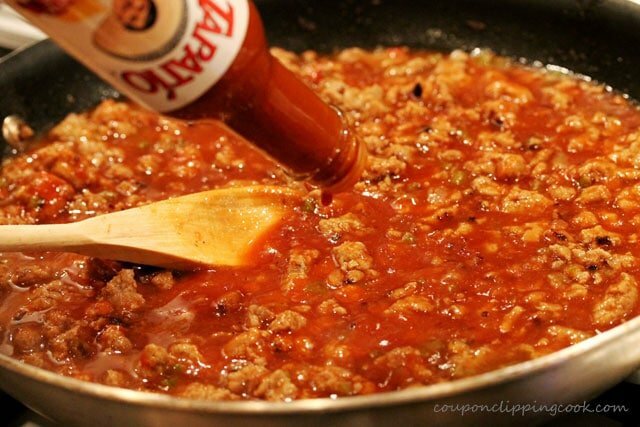 And to add a pop of flavor to the sauce, hot sauce is added which really gives the Sloppy Joes a wonderful spicy sweet flavor. 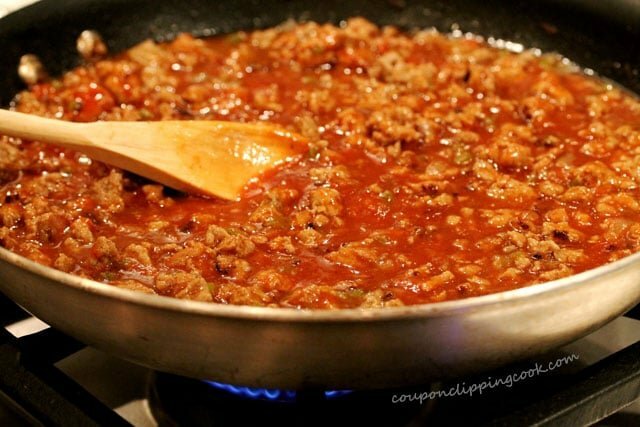 Here are more recipes for Sloppy Joes you may like, “Sloppy Joe Macaroni and Cheese” and “Slow Cooker Spicy Sloppy Joes“. 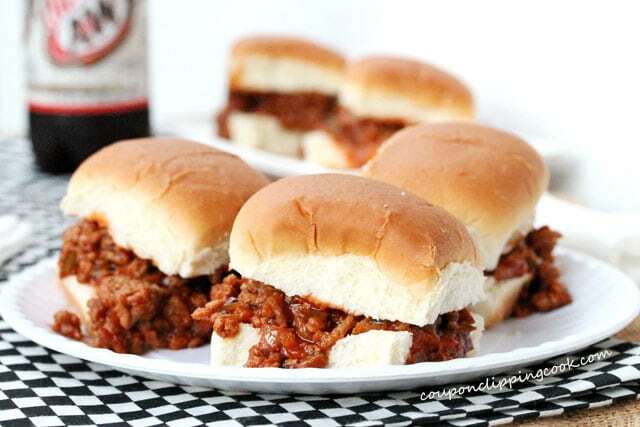 If there happen to be leftovers, the sloppy Joes (just the meat mixture) last nicely in the freezer and come in really handy for those nights when you’re too tired to cook or just can’t think of what to make for dinner. 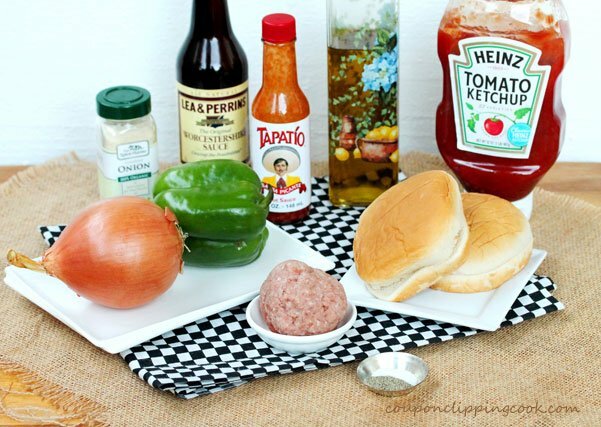 Just thaw and warm up the sloppy Joes, then serve on a toasted bun. Dinner is served! 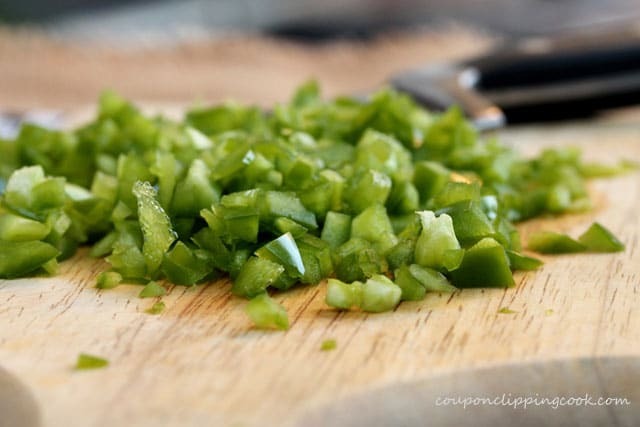 and the green bell pepper. Sauté for about 4 minutes. Stir as the vegetables are cooking. 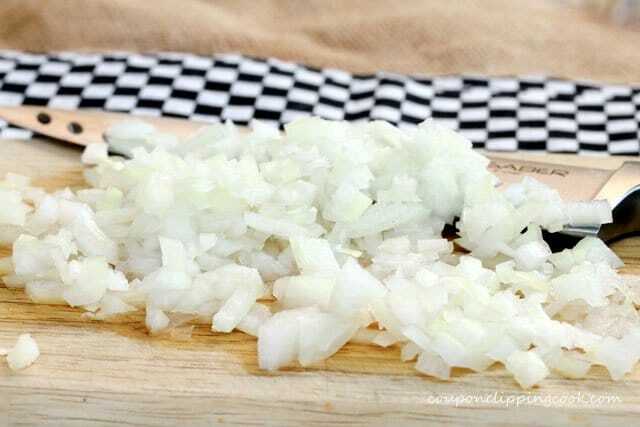 Add onion powder. 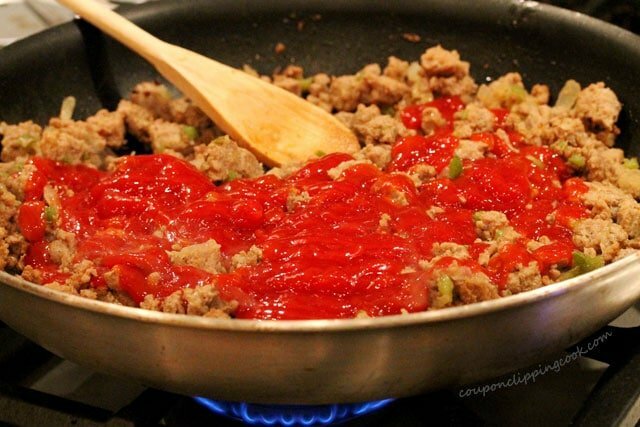 Continue to stir as the ingredients are cooking until the turkey is completely cooked. 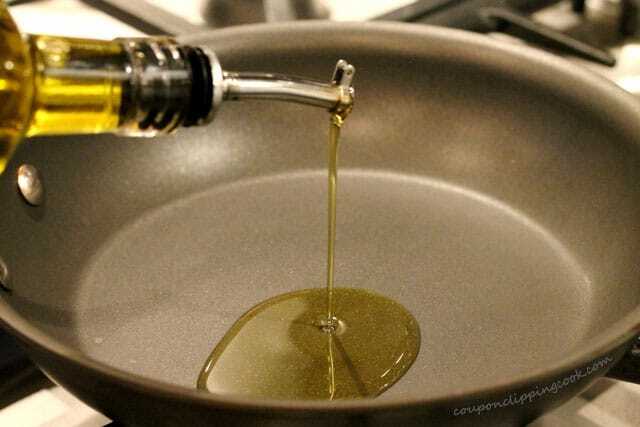 Cover the pan. 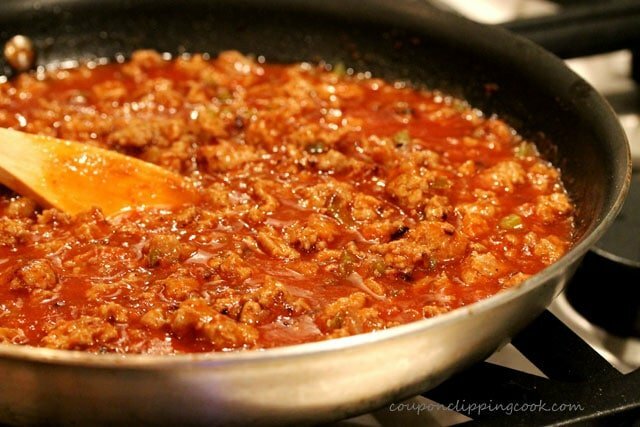 Simmer on low heat until the mixture thickens (about 8 minutes). Give it one more good stir and serve on lightly toasted buns. Then enjoy each wonderful bite. 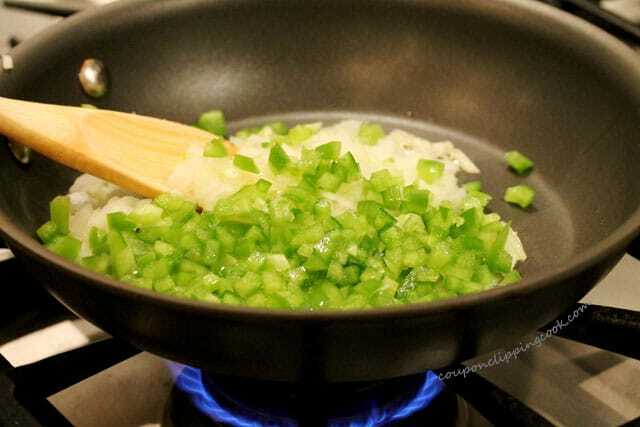 Heat a medium size skillet on medium heat and add olive oil, onions and bell pepper. 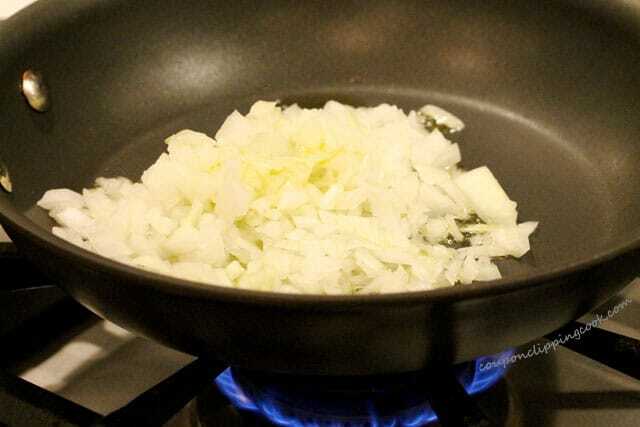 Sauté for about 4 minutes. 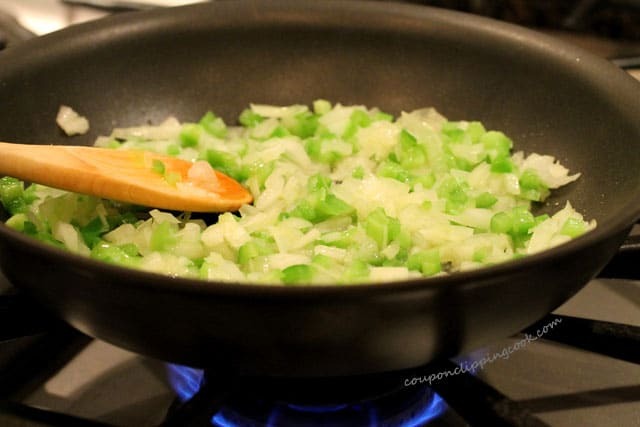 Stir as the vegetables are cooking. 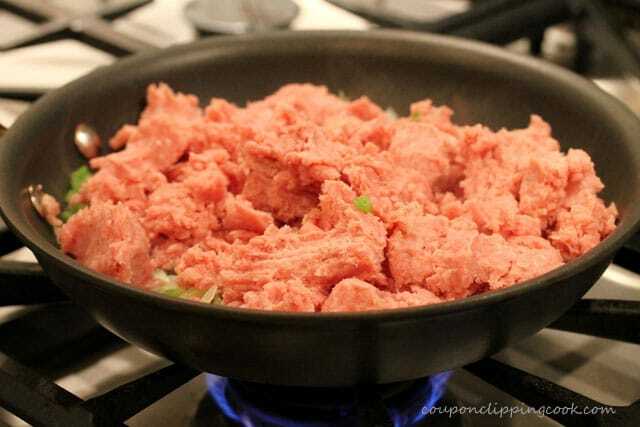 To the pan, add ground turkey, salt, pepper and onion powder. 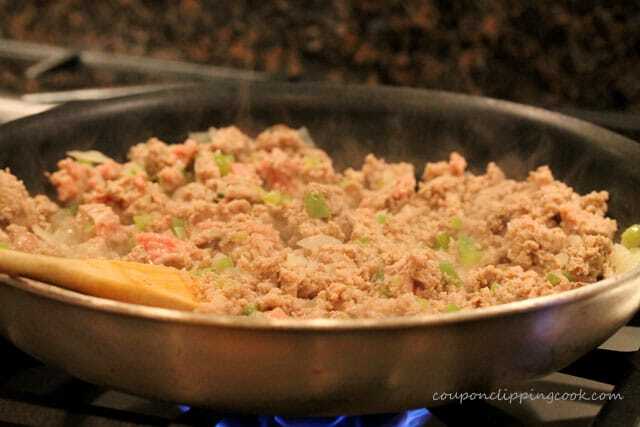 Continue to stir as the ingredients are cooking until the turkey is thoroughly cooked. 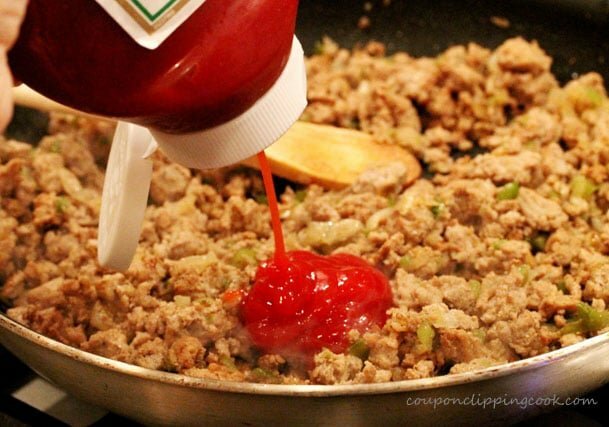 Then add Worcestershire sauce, ketchup, water, and hot sauce. Stir together. 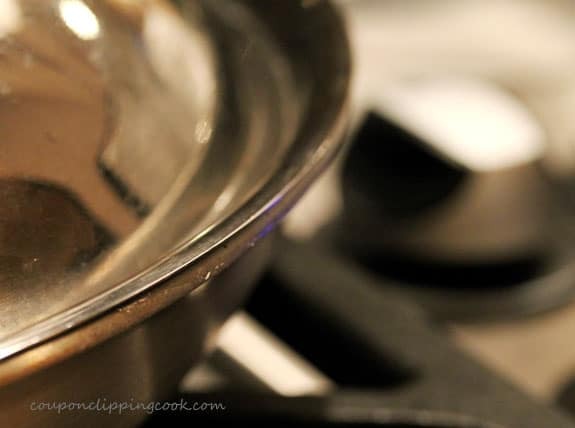 Cover with a lid and simmer on low heat until the mixture thickens (about 8 minutes). Just before serving, stir all ingredients. Serve on lightly toasted buns.